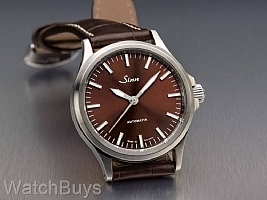 This version of the Sinn 556 I Series features a mocha dial with sunburst decoration. 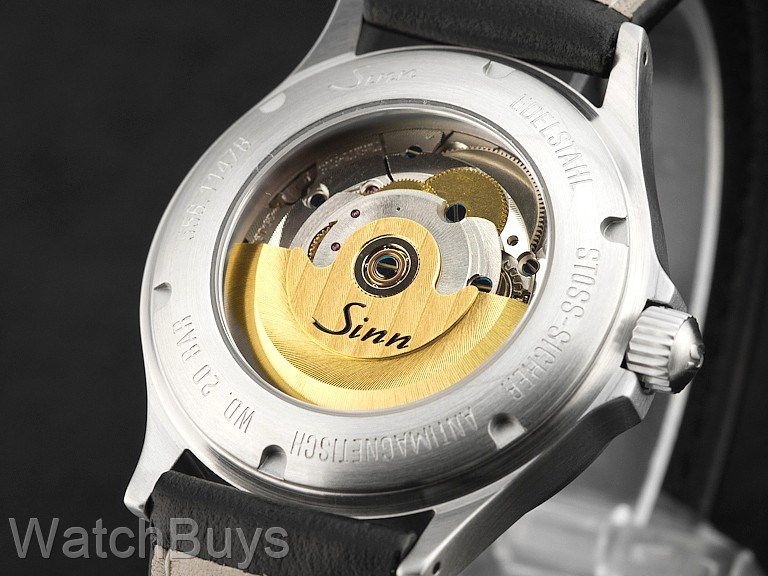 Sinn has historically used this mocha dial on a number of limited edition watches, most notably in the Frankfurt Finance Series. 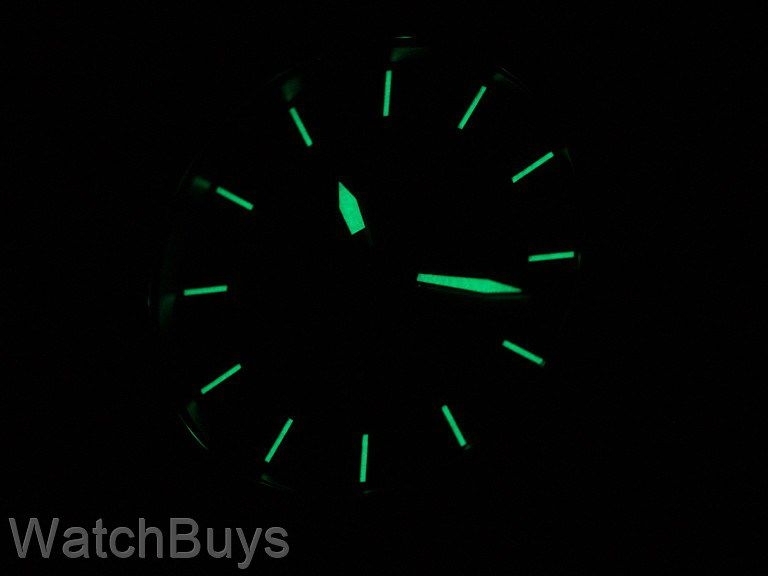 Because of the popularity of this dial, Sinn is now offering it as an option in a non-limited model on their most affordable watch. The Sinn 556 I Mocha features a case size at 38.5 mm which is satinized. This finish results in a slightly more polished look without the shiny "mirror look". In addition, the dial features hour indices for a very clean layout. 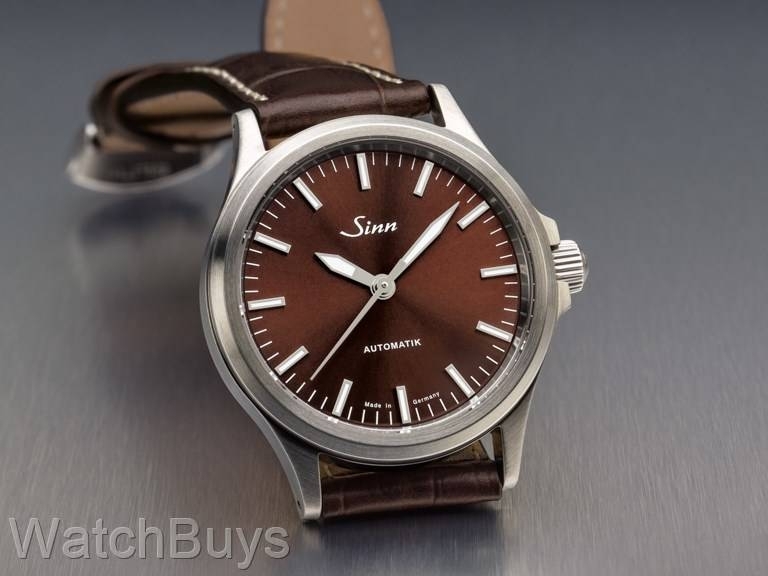 This watch is fitted with a Sinn dark brown calf leather strap and tang buckle. "First Sinns and I like both"
Verified Owner Comments: Purchased a 556 I Mocha, and a 556 I Blue (separate review for the blue). The satinized case is very nice. I had high expectations and am not disappointed. Brown sunburst dial is a nice variation from my other watches. Transaction easy with Watchbuys.